Bra-line Back Lift: Get Rid of Fat Rolls, Cost, Recovery, etc. DID YOU HAVE A BRA-LINE BACK LIFT? Back fat is a common issue associated with aging. Unfortunately, it is not something that is always tied directly to diet or exercise habits. Regardless of how well you take care of yourself, you might still find yourself dealing with sagging back fat as you get older. Fortunately, a bra-line back lift offers an ideal treatment to remedy the issue. Are you a candidate for a bra-line back lift? Although the name implies that a bra-line back lift is a procedure intended solely for females, it is not uncommon for men to undergo the treatment. In general, anyone dealing with pockets of sagging back fat around the “bra-line” area may be a qualified candidate for the procedure. The difference is that women have the luxury of being able to hide their surgical scarring (albeit minimal) with their bra. Men, on the other hand, must deal with the blemish, or look into alternative scar removal procedures. Back fat is most typically a result of aging, though it can also be caused by other factors, notably sun damage. Sun exposure accelerates skin aging, meaning that you may suffer from back fat accumulation at a younger age. In addition, people who undergo bariatric surgery often end up with sagging skin in various areas of the body. In cases like these, additional body lift procedures may be recommended to enhance the overall results. If you are considering a bra-line back lift, you should set up a consultation with a board-certified plastic surgeon to evaluate your candidacy. During the consultation, your surgeon will speak with you in detail about how the procedure works, and what you can expect in terms of results. Your surgeon may also provide you with a list of do’s and don’ts to abide by in the lead up to your surgery. This may include everything from activity, to diet. If you are a smoker, your surgeon will advise you to quit for at least a month prior to the surgery to avoid any complications. Similarly, certain medications may be contraindicated. First, the surgeon will likely request you strip down to your bra so that appropriate markings can be made using the bra as a guide. This will help generate incision points most easily hidden by bras or swimsuits. Next, general anesthesia is administered. Once the fat has been excised, the back skin is reconnected in a tighter, lifted fashion. The surgery itself is performed over the course of 60 to 90 minutes. Once the surgery has been completed, patients are allowed to go home under the supervision of a friend or relative. The typical recovery period is approximately two weeks, during which time patients are advised against exercise and vigorous activity. It is recommended that any sort of bra or support is avoided during this period, after which a looser-fitting flex bra is recommended for a few weeks. Showering and bathing must be avoiding for at least one day. 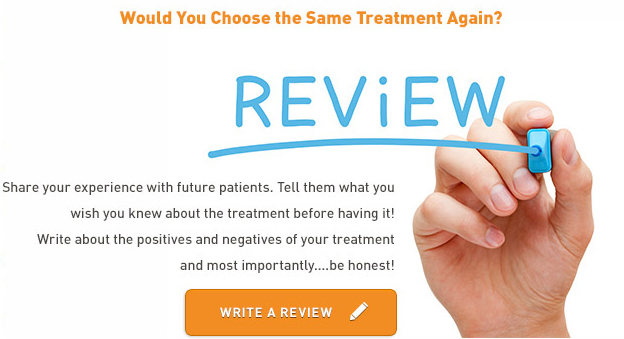 In general, patients are extremely happy with their results. The risks (bleeding, infection, scarring, etc.) are minimal and rare, and the aesthetic effects can be staggering. Revision procedures are not uncommon, and can be performed using the same incision point to limit any added scarring. What’s a Bra-line Back Lift Cost? There are a variety of variables that combine to elicit an exact cost for bra-line back lift surgery, though pricing tends to range between $8,000 and $10,000. Some of the more common elements to affect cost include the surgeon performing the procedure, the location in which it is being performed, and the amount of back fat being removed. Bra-line back lift surgery is an elective cosmetic procedure, meaning that health insurance will not cover any of the cost. If you are interested in learning more about the procedure, or getting a unique cost estimate, contact a board-certified plastic surgeon to schedule a consultation.